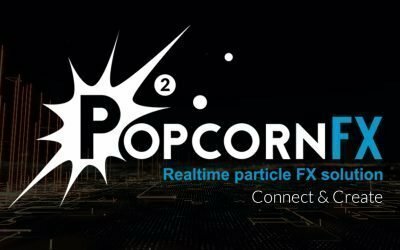 We are going to see how to use a new PopcornFX scripting function called “sampleSurfacePCoordsFromUV” to spawn particles on certain parts of a mesh. This function takes a texture coordinate as parameter and returns a parametric coordinate on a mesh surface. Let’s see how to use that to create our effect. You can see that particles are only spawning on specific parts of the mesh, which are defined by a density texture. 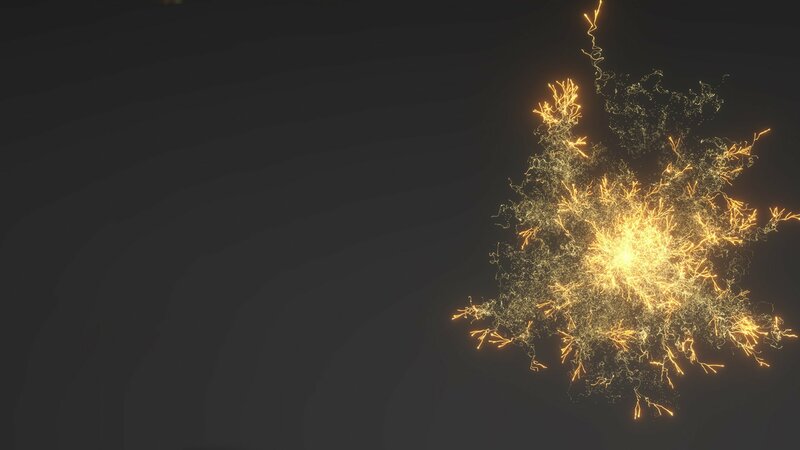 First we will create the effect using a non-optimized technique, allowing us to dynamically override the mesh and texture on which we are spawning particles. Then, we will create the optimized effect using the new “sampleSurfacePCoordsFromUV” script function. Please note that you cannot dynamically override the mesh or texture with this function, meaning that you will not be able to have multiple instances of this effect with different meshes and textures. The first step of this technique consists of spawning particles uniformly on the surface of a mesh. 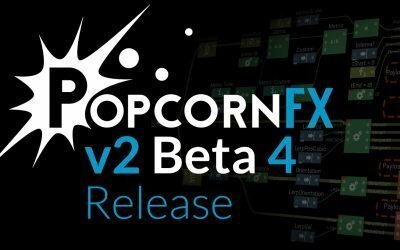 The attribute samplers have the advantage of being overridable in the game engine in which you will import your effect, meaning that you will be able to reuse the same effect with different meshes. 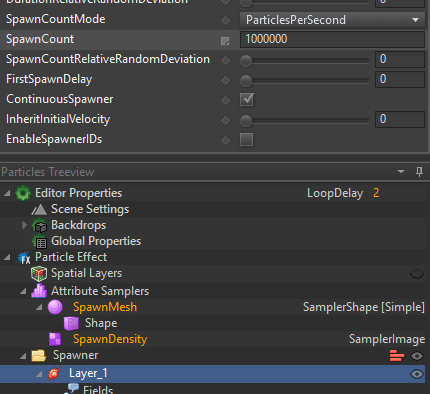 Please notice that it gives you the opportunity to choose a mesh and a texture from your Unity assets to override the samplers “SpawnMesh” and “SpawnDensity”, meaning that you will be able to have multiple instances of this effects with different meshes and textures. 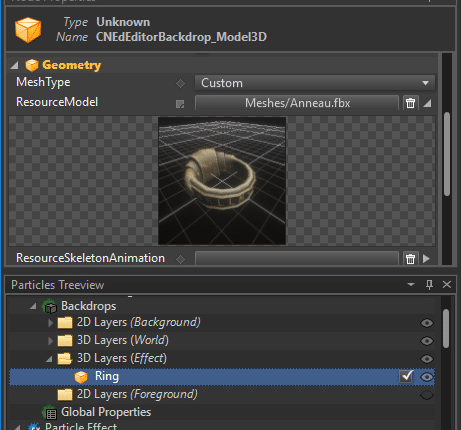 Backdrops are just here for the sake of seeing meshes in the editor, to test the physical interactions of your particles and be used as default values for the attribute samplers. They will not appear in the game engine once your effect is exported. 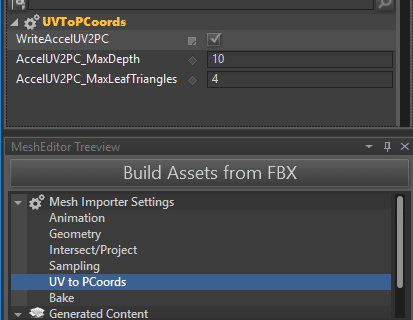 Note that if you bring in a custom FBX mesh, you will need to locate it in the content-browser and right-click ‘Build asset’ to be able to use it in the effect editor. 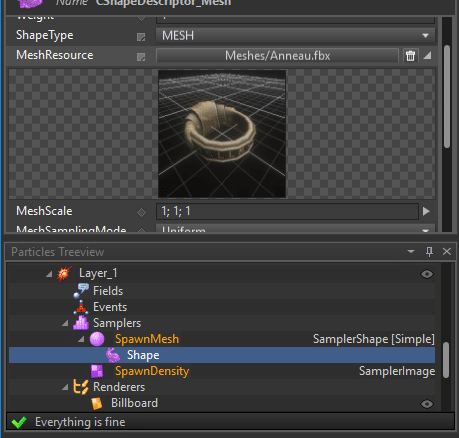 When you will import the effect in the game engine used for production, you will be able to choose a mesh from your scene to override the “SpawnMesh” sampler. Your particles should now be spawning on the surface of the mesh. You can now sample this texture from the mesh UV to get the color info. 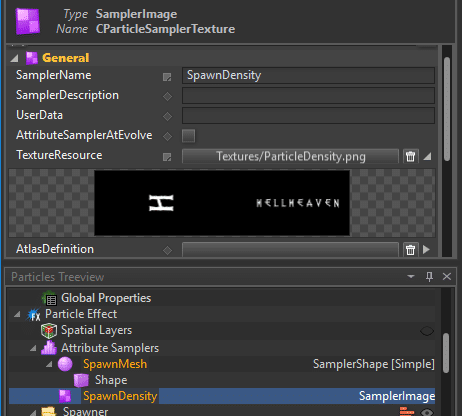 // Here we use a "random select" to choose the life duration of the particle. // the more the particle spawned on this pixel has a chance to live. This means that more than 40% of the time is spent spawning particles among which only about 3% will actually live their full life. All the others will be killed instantly on the first frame, because they spawned outside the white pixels of the density texture. The optimized way of doing this is to only actually spawn particles on the part of the texture we are interested in, so no particle has to be killed at spawn. 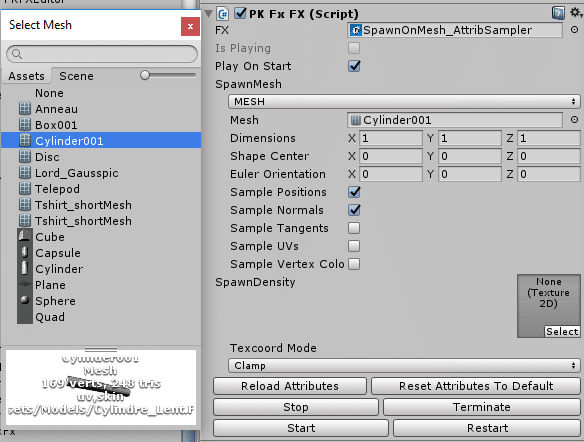 You can remove the mesh backdrop and just select the mesh you want to use in the “MeshResource” field of the sampler. 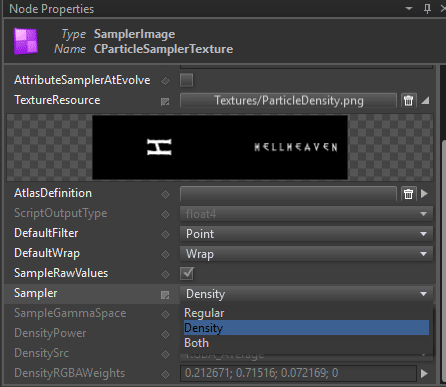 Make sure that the “Sampler” property of the texture sampler is either set to “Density” or “Both”. This will allow you to call the “sampleDensity” function to get texture coordinates depending on the texture color intensity. See the texture sampler online documentation for more details. A “probability density function” is built for the texture sampler when your effect is loaded, this is what allows you to call “sampleDensity“. An acceleration structure is baked inside the mesh that will allow you to get parametric coordinates on the mesh from a texture coordinate using “sampleSurfacePCoordsFromUV“, as long as your mesh doesn’t have multiple triangles with overlapping UVs (the same texture coordinate is mapped on multiple triangles of the mesh). The acceleration structure used by “sampleSurfacePCoordsFromUV“. 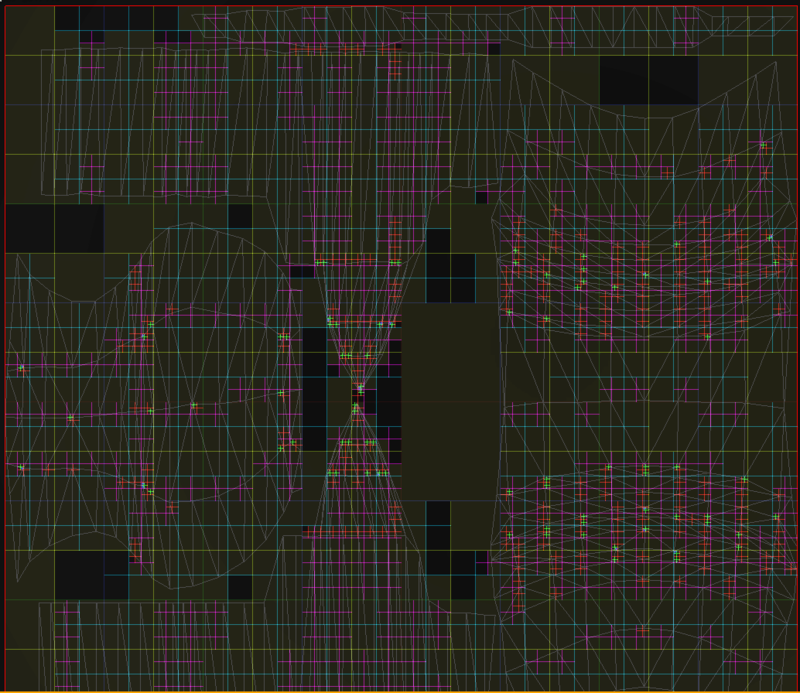 You can see the unwrap of the mesh triangles in UV space as well as the tiles from the quadtree used to optimize the search. Being able to override those samplers would mean that we need to rebuild these two data structures at runtime, which would be too costly. Here the newborn particles only take about 3% of the time. Much better. Now let’s see how this influences the global performance of the effect. The green graph below represents the CPU time per frame. Note that we divided the update time by more than two, going from 0.32 ms to 0.14 ms.
Also, performance is way more stable with the second technique: you can see that there are less spikes on the graph. 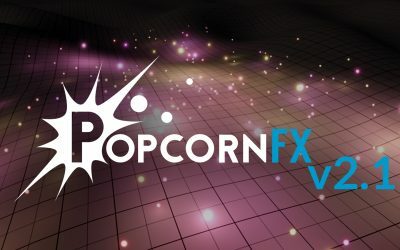 Be aware that this technique is still a bit limited: you will not be able to override the texture or the mesh and your mesh needs to have non-overlapping texture coordinates for the “sampleSurfacePCoordsFromUV“. However, it is really efficient, allowing users to avoid a lot of unnecessary particle spawns and drastically improving performance!